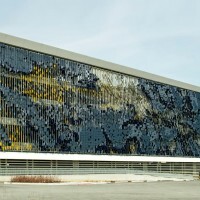 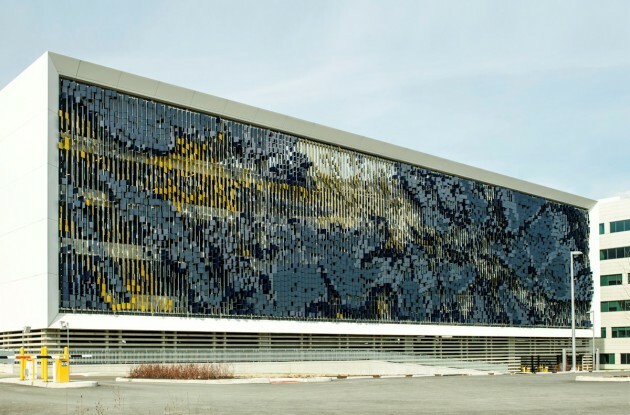 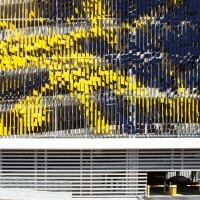 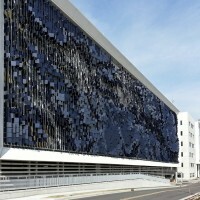 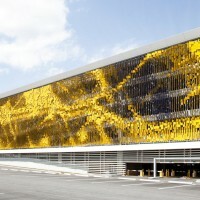 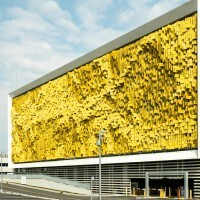 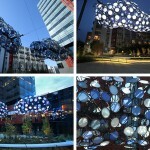 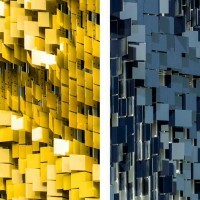 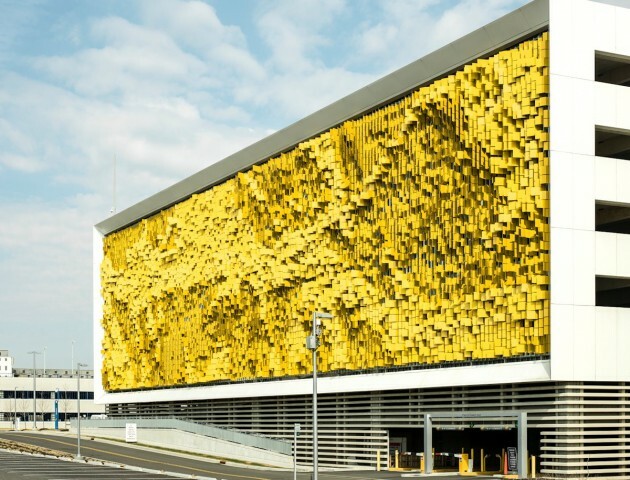 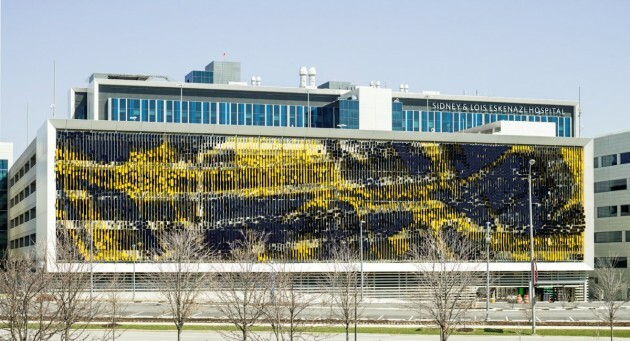 Rob Ley of Urbana Studio has recently completed May-September, an interactive art facade made from 7,000 angled metal panels attached to a parking structure at the new Eskenazi Hospital in Indianapolis, Indiana. 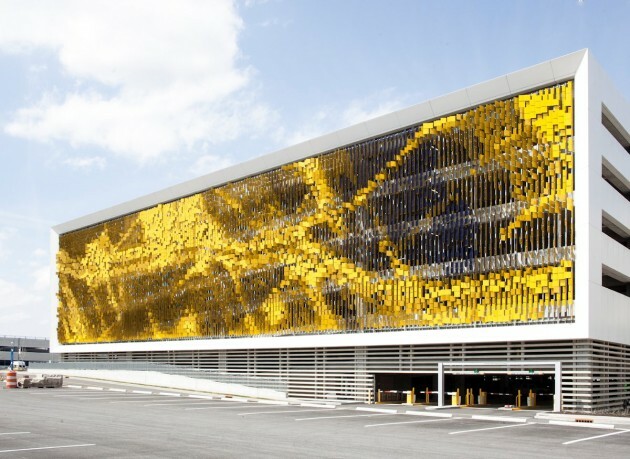 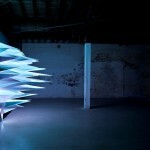 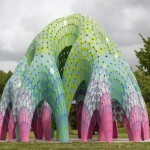 This project began with an interest in challenging the typical notion of the parking structure as an unappreciated infrastructural typology by transforming the new Eskenazi Hospital parking structure into an interactive, synthetic terrain. 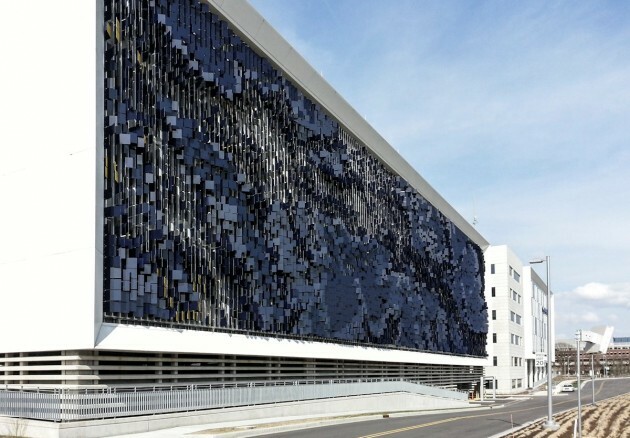 A field of 7,000 angled metal panels in conjunction with an articulated east/west color strategy creates a dynamic façade system that offers observers a unique visual experience depending on their vantage point and the pace at which they are moving through the site. 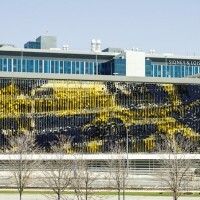 In this way, pedestrians and slow moving vehicles within close proximity to the hospital will experience a noticeable, dappled shift in color and transparency as they move across the hospital grounds, while motorists driving along W. Michigan Street will experience a faster, gradient color shift which changes depending on their direction of travel.